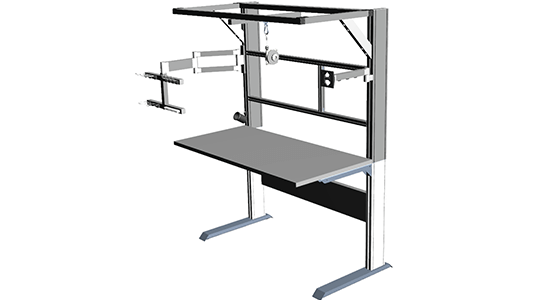 MB Kit Systems' Ergonomic Workstations include a platform of standard industrial workstations and components that have been engineered after 30 years of designing customized working environments. 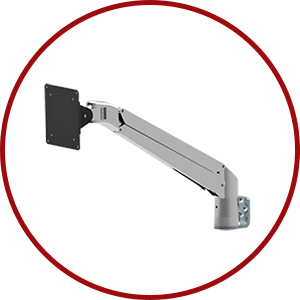 Our vast experience of stringent ergonomic standards allows for an industrial workstation line that maximizes worker productivity by minimizing fatigue. 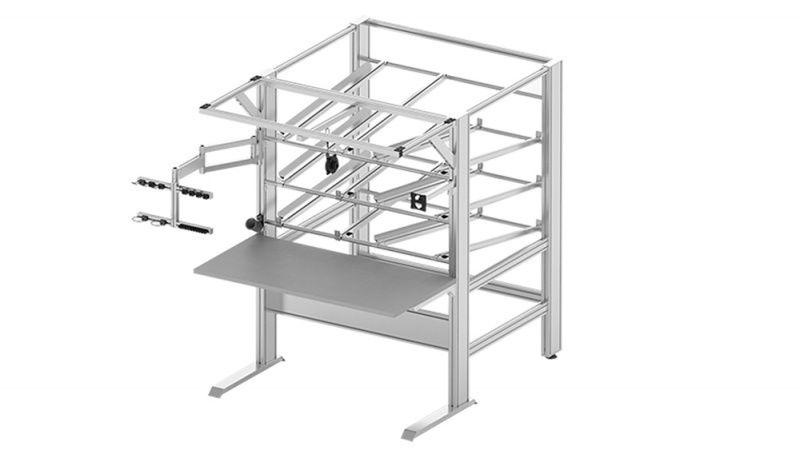 Every worker is unique; we make it easy to provide aluminum workstations with an optimized handling area comfortable for all shapes and sizes. 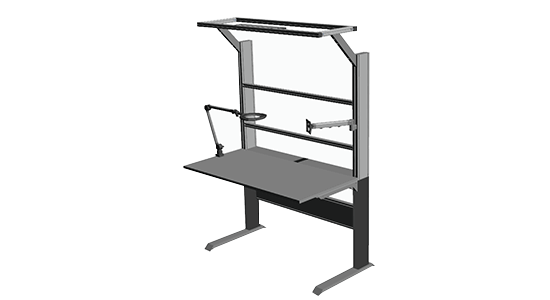 Height adjustable tables, pivot arms, and adjustable shelves ensure the right tools and components are within easy reach for all sized workers. Each workstation build is engineered from a team with vast experience of designing custom industrial workstations for precise applications. 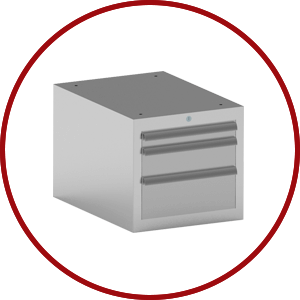 From manufacturing, testing, maintenance, to assembly line work cells, with an assortment of multi-functional stations. 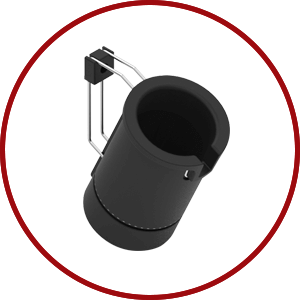 The extensive array of accessories and components assures that your work environment has the functionality to optimize any worker process. 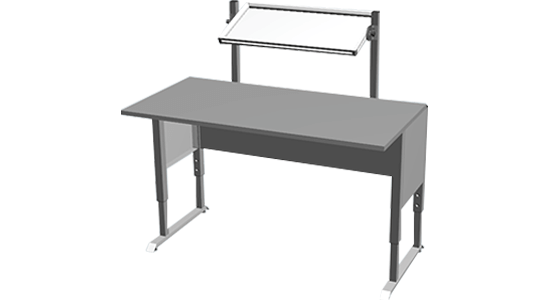 Height adjustable tables are available to ensure workbenches are the perfect height for any worker. 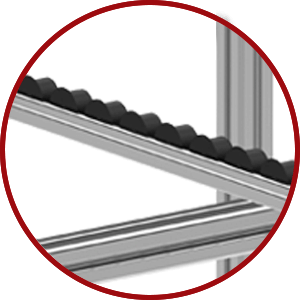 By utilizing standard T-slot grooves, it is simple to integrate linear motion, install workflow roller conveyors, and add computer components to industrial workbenches. 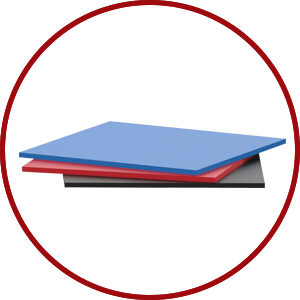 An expansive set of ESD components are available, allowing for easy accommodation of anti-static environments. 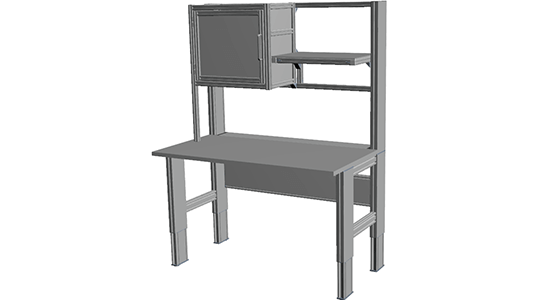 MB Kit Systems' workstations are grouped into platforms to provide a solid starting point. Simply add-on components until you meet project requirements. WS1 workstation is the most basic option available. 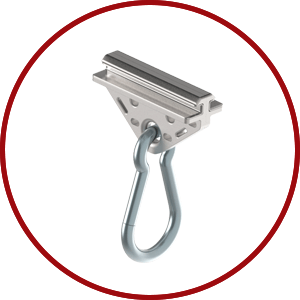 The primary function for this platform is simple labor tasks or material handling situations. 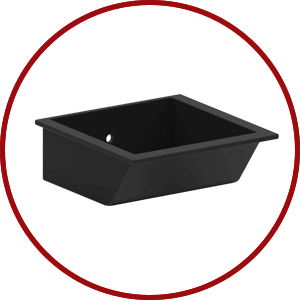 The light-weight, yet strong foundation allows for heavy-loads and easy placement. 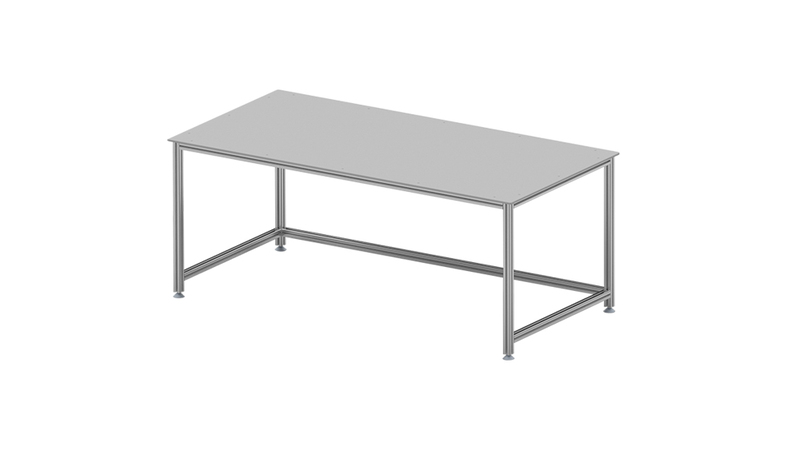 Common usages include tables, carts, and basic desks. 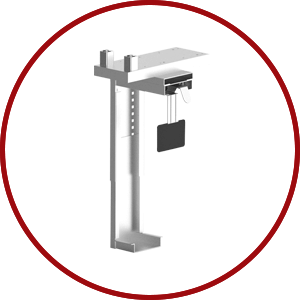 WS2 workstation includes adjustable leg columns. 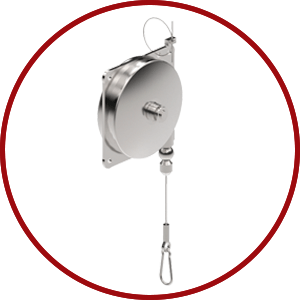 The legs can be lifted with a motor or crank. 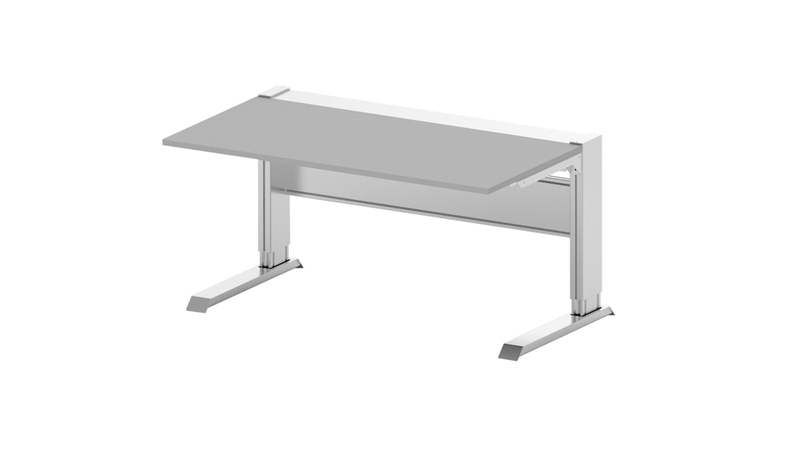 An adjustable height workstation is ideal for stand-up desks and catering to the heights of different employees for greater efficiency. 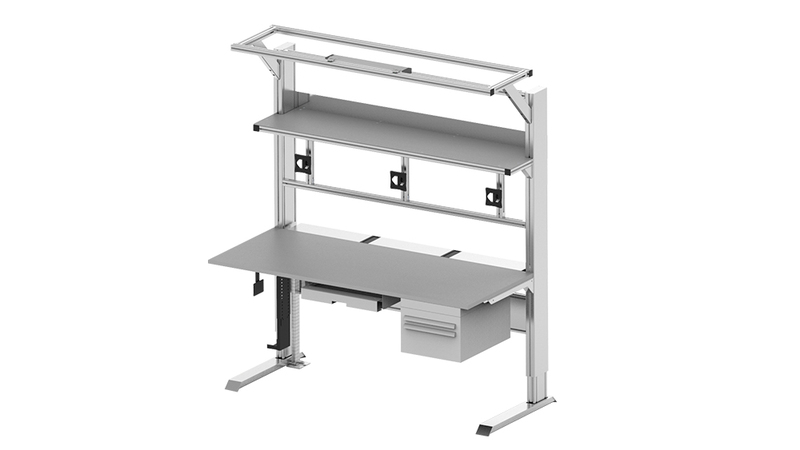 WS3 workstation increases the ergonomic and productivity possibilities with a back up-right aluminum profile frame. 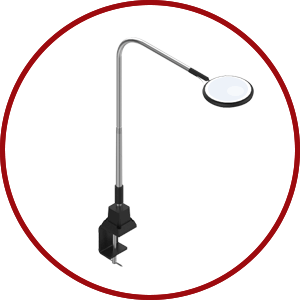 The up-right section enables the workstation to include many add-on components and accessories. 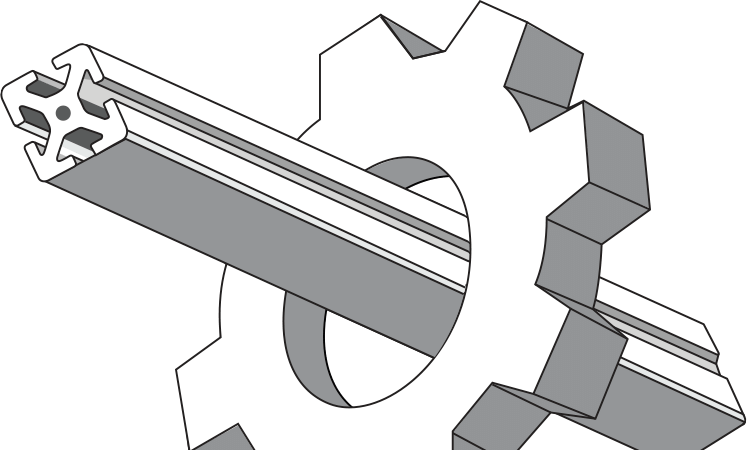 Common scenarios to include an up-right are for cases where accessories need to be included to perform functions such as inspections and assembly. 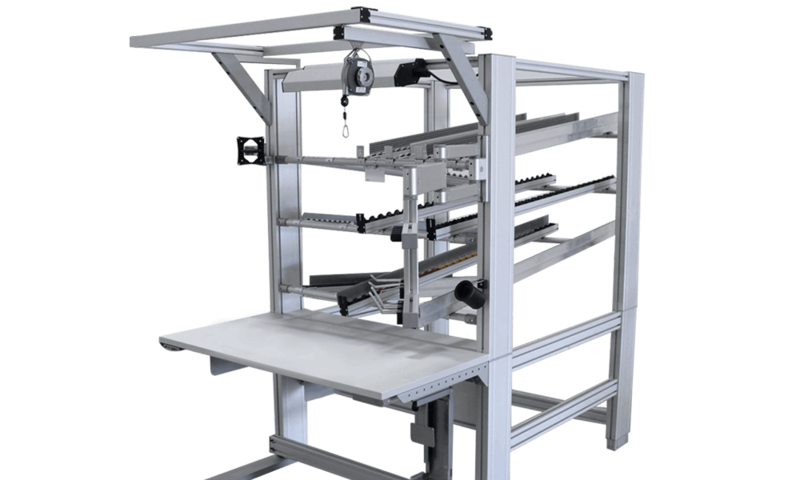 The WS44 workstation expands using the inherent versatility of T-slotted aluminum profile allows for simple integration of lean production systems into workstations for labor efficiency. 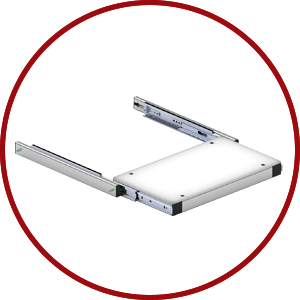 Linear motion, flow racks, conveyors, and other dynamic components can be included as add-ons to increase your workflow capabilities. 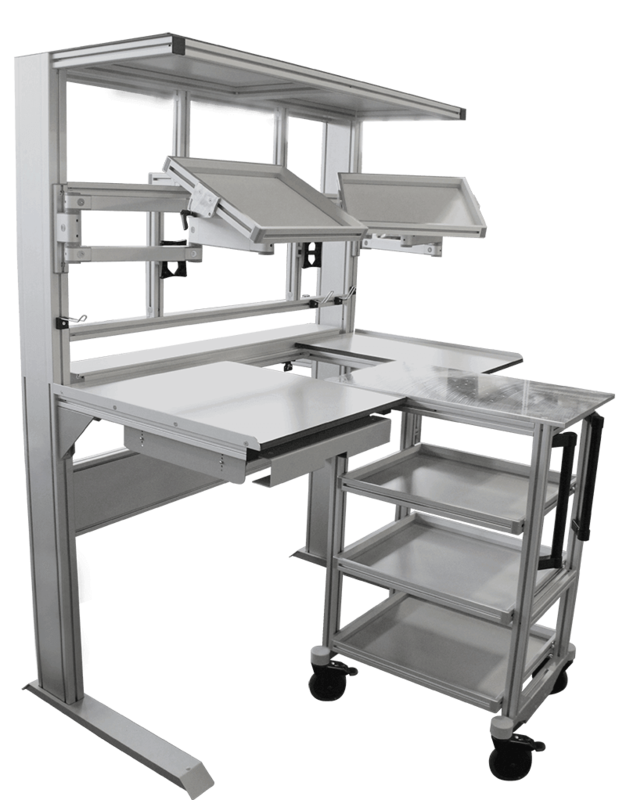 Each workstation is custom engineered for precise industrial and lean workstation solutions. Build upon your workstation to make it work how you need it to. 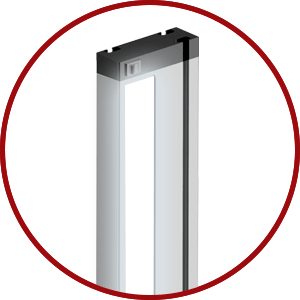 We have hundreds of supplementary components and accessories designed specifically for T-slotted workstations to meet your requirements. 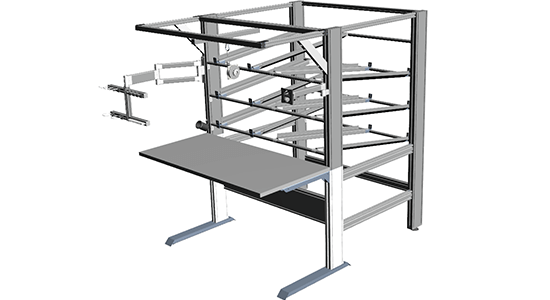 MB Kit Systems merges experienced design and high-quality product to build efficient & ergonomic workstations.